Are you looking for auto mechanics in the Holmen area with honesty and integrity to service your Cadillac? Then the auto repair technicians at Cordell’s Automotive would like to have you come in for excellent Cadillac service, from tires to bumpers. Our auto repair technicians would prefer to show you than tell you about our outstanding customer service. There’s a reason people compare things to a Cadillac. “This socket wrench is the Cadillac of the tool world,” they’ll say. Or “this hummingbird feeder is the Cadillac of bird feeders.” And people immediately know what they’re talking about. But just because a Cadillac has an excellent reputation for quality, doesn’t mean it doesn’t need a little love sometimes, too. Without preventive maintenance, your Cadillac won’t be the Cadillac of the Cadillac world (if that makes any sense). At Cordell’s Automotive, we’d like to keep your Cadillac on the roads of Holmen with its reputation for excellence intact. 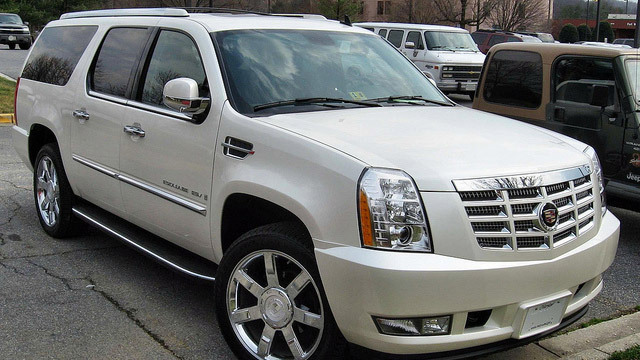 Why bring your Cadillac into Cordell’s Automotive? There are a ton of reasons--more than will fit into this paragraph. First, we have a 3-year/36,000-mile warranty for your peace of mind. We have loaner cars and can give you a ride home or to work because we know you’re busy. If you decide to wait (say, for an oil change), our waiting room is cozy and comfy. Speaking of oil changes, we only do synthetic oil changes. To sum it up, we’re the Cadillac of the auto repair world! We’d love to work on your Cadillac. Schedule an appointment today. Cordell’s Automotive is located at 300 South Holmen Drive, Holmen, WI, 54636. Our hours are 7:00 AM - 5:30 PM, Monday - Friday. We also service the communities of La Crosse, Onalaska, and Trempealeau.